If you are serious about losing weight and have decided that today is the day you are going to make a real concerted effort to lose those extra pounds there are basically three things that you have to do. The first is make today your ground zero, your D-day – without a definitive start you are likely to let today become tomorrow and another week and another month will roll by. So, today is the day – not tomorrow. The second course of action is to acknowledge the reason why you have become overweight – in almost all scenarios the main contributing factor is the amount of food you consume on a daily basis. There may be an underlying medical reason for some, but for the most it is overeating. The third course of action is to build your diet plan – this where the majority come unstuck. There are literally thousands of diet plans and diet products available – the research stage can be daunting. A diet plan does not necessarily mean a radical change to your eating habits – old habits die hard. If you enjoy take-aways, cream cakes and fatty foods … continue, but dont overindulge. The worse thing you can do in the early stage of you diet is to remove the things you enjoying eating. A diet plan simply means a plan for your diet. This is where the use of diet pills can really help. You have most likely done some research using the internet into diet pills, you may have got as far buying some. The problem that the diet pill industry faces is that 80% of the diet pills that are freely available to purchase will in all probability not work. If you have purchased a packet or bottle of diet tablets you have a 20% chance of the product containing either the correct ingredients or the correct amount of ingredients. 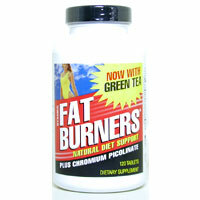 One of the most commonly sold diet pills on high street or on web is the Fat Burner. Fat burners are heavily marketed on the internet are usually produced by companies that have a loose association with health and strong association with profit. It is the marketers of fat burners that try to make their product highly effective and irresistible. If you lead what can best be described a “normal” lifestyle the fat burner is not the diet pill for you. Contrary to popular belief fat burners do not “burn fat” they just provide an increase to the metabolism and raise the heart rate. Sportsmen and women will gain the most benefit, ordinary everyday people who do not lead a particularly sporty lifestyle will not. Prescription diet pills are not available to everyone – a GP will only prescribe if you are considered dangerously overweight or obese. If you do not fall into this category then it is the non prescription or over the counter market for you. On of the best types of diet pill to stop over eating is the appetite suppressant – appetite suppressants (unlike fat burners) cause a reaction in the brain. This reaction will stop the need for food and create a feeling a fullness. Appetite suppressants will reduce you physical want for food by approximately a quarter. You daily calorie intake can be reduced by 25% by using an effective appetite suppressant without radically and forcibly altering your dietary habits.